Your electric garage door in Vancouver is in good hands with our experienced techs. We have plenty of experience fixing, replacing, and installing a variety of components. Our experts are very helpful and friendly. We are out to make sure you receive the best service for your electric door. Call and ask about our same day repair service. At Payless Garage Doors Vancouver, we always do our very best for you. We would not promise the best electric garage door service if we didn’t believe we could deliver. Our techs have the right training, knowledge, and polished skills to provide quality results. We will install new springs, openers, cables, tracks, and so much more. As a matter of fact, we will install a brand new door. If one of these components is beyond repair, we will replace them with quality parts. Our electric garage door replacement service is highly-respected. Repair service is one of our top priorities. When your door is broken down you want help in a hurry. You don’t want to wait days for a service man to arrive. 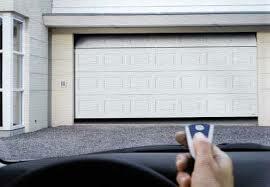 We offer speedy electric garage door repair service every day. Our pledge to same day repair service has enhanced our ability to serve our customers effectively. We are prepared and it shows in everything we do. Our vans are equipped with a variety of spare parts and all the tools we need to be successful. We take broken electric garage door repair seriously. This is evident in the quality we provide. We will service everything from electric garage door openers to cables and tracks. Our respectful approach to customer service has forged a bond with the local community. 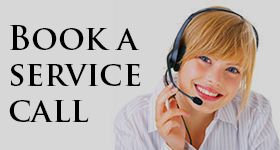 We know we can provide this type of customer care for you as well. Give us a call when you need Vancouver electric garage door you can depend on.